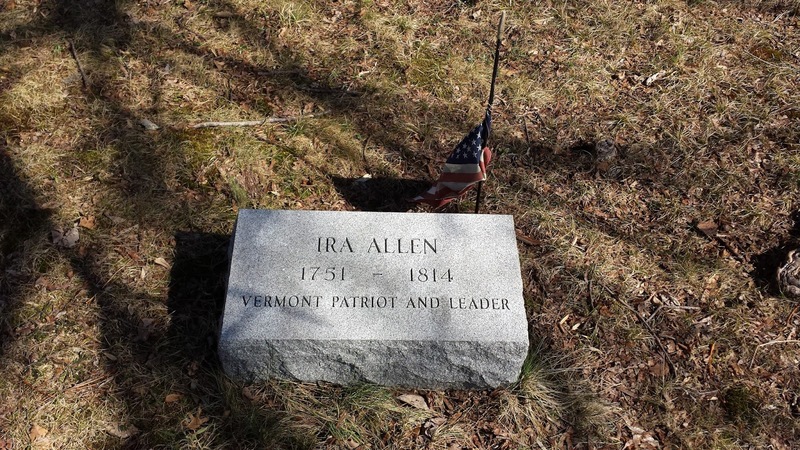 Ira Allen was an American patriot and politician from Vermont. 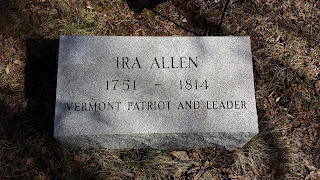 He is best known for being one of the founders of the state of Vermont and for serving as a leader of the Green Mountain Boys with his brother Ethan Allen. 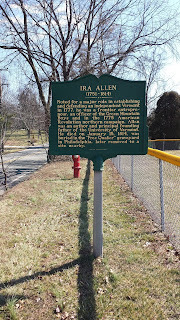 Ira Allen was born in Connecticut on April 21, 1751. 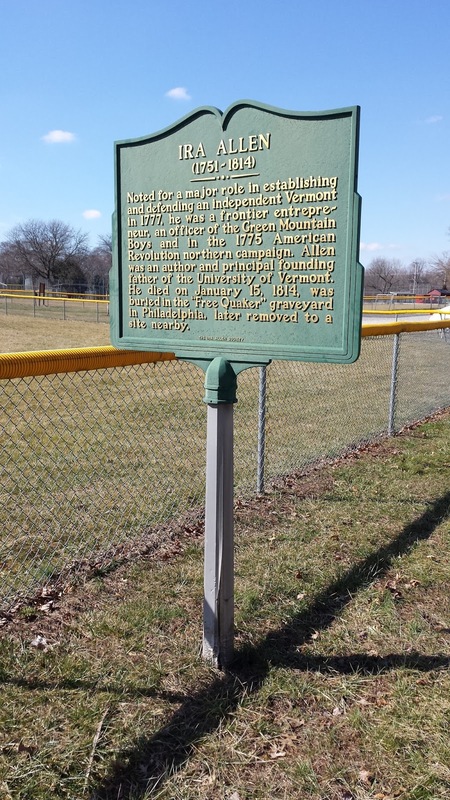 In 1771, the Allen brothers went to Vermont to serve as surveyors for the Onion River Land Company. Around this time, the two brothers purchased land in Vermont, and became involved in a dispute with the colony of New York over land claims in the area. Allen became served in the Vermont Legislature from 1776-1777, and was a key figure in the establishment of the Vermont Republic in 1777. 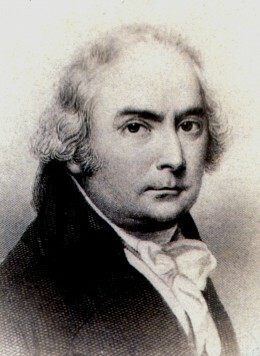 Later, the Allen brothers along with Thomas Chittenden served as members of a committee authorized to negotiate with the Continental Congress to allow Vermont to join the Union. 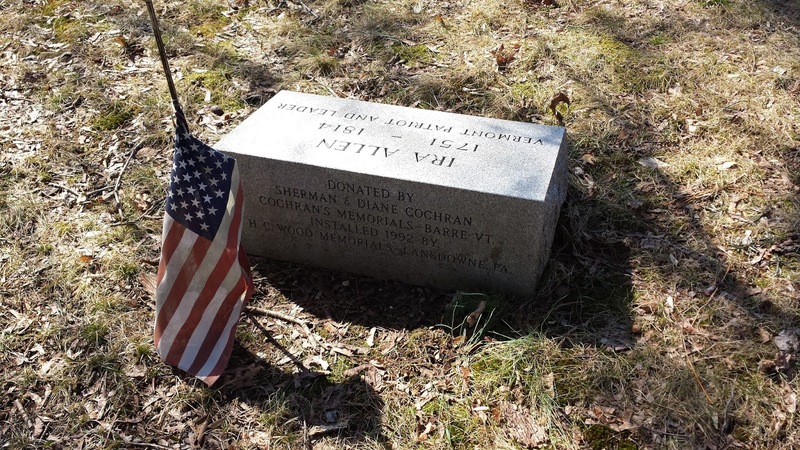 Around this time, the Allen brothers and Chittenden were accused of potentially treasonous actions for negotiating independently from the Continental Congress with the British officials in Quebec. They discussed the possibility of Vermont becoming a British Province. 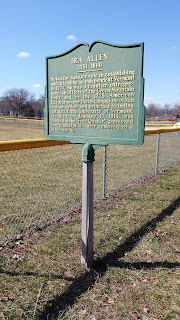 Some historians believe that the committee did this in order to pressure the Continental Congress into allowing Vermont to join the Union separate from New York and New Hampshire. Vermont officially joined the United States in 1791. Allen is also credited with designing the official seal of the state of Vermont. 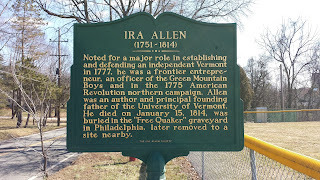 In 1780, Allen contributed money and land for the establishment of the University of Vermont in Burlington. He is known as the "Father of the University of Vermont." His contributions to the establishment of the university are reflected on campus in statues, memorials and buildings that bear his name. 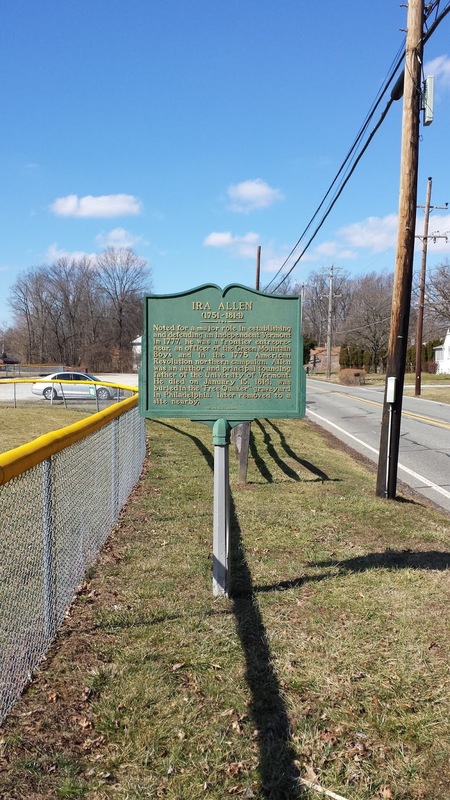 In 1796, Allen traveled to France to obtain guns and ammunition. His contract stated that these weapons were for the use of the Vermont state militia, in which he had been appointed a Major General in 1790. Some sources claim that these weapons were intended for American volunteers who would support the French in overthrowing the British in Canada. 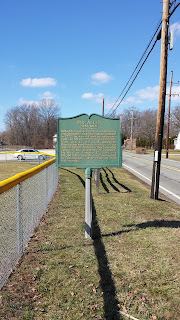 The ship Allen was transporting the weapons on was captured by the British. Allen spent eight years attempting to reclaim the weapons in a British court. Allen received the weapons back from the British, but was forced to pay eight years' worth of legal fees. The money that he obtained selling the weapons went to pay his creditors. 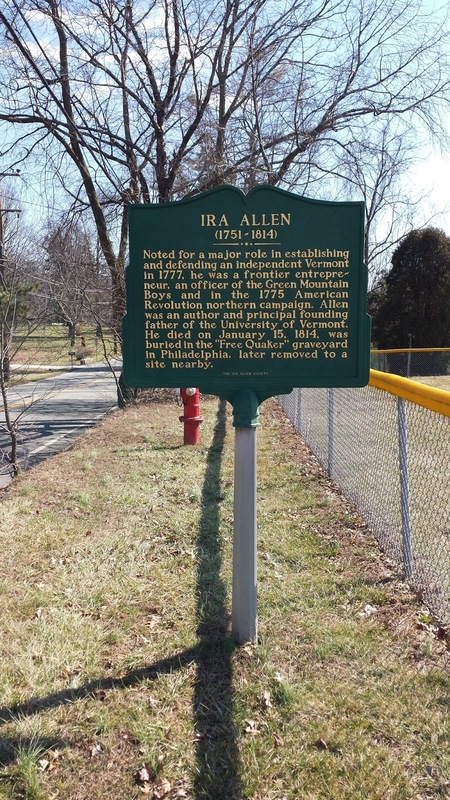 Allen died in Philadelphia on January 7, 1814. He had come to Philadelphia to escape debtor's prison in Vermont. 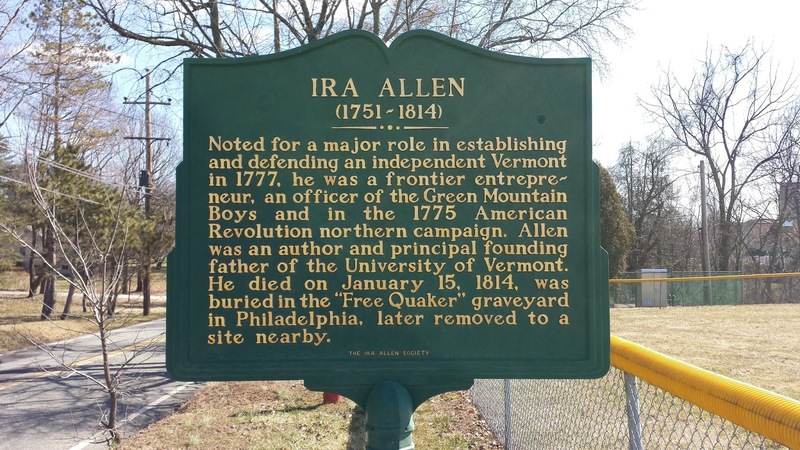 Prior to departing Vermont, Allen had made a series of poor business, political and land management decisions that led to his bankruptcy. 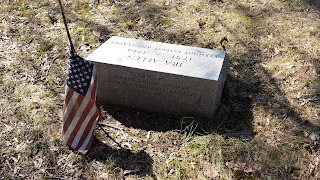 He was originally interred in an unmarked pauper's grave at Philadelphia's Arch Street Presbyterian Cemetery, but his remains were lost when the site was destroyed. The remains of other individuals buried at this church were moved to Wetherills Cemetery in Audubon, Pennsylvania (see my blog entry on Timothy Matlack). 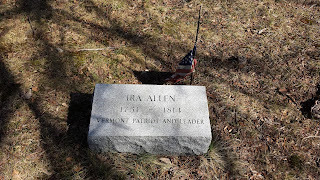 There is a cenotaph honoring Ira Allen in this cemetery.